"Tara, thank you very much for the photographs - you did a fantastic job they really are impressive! I love the way you package up and deliver the final pics - every aspect is so professional! We are receiving many positive comments and I am happily referring you on. If we need a photographer again we know who to come to!" "We cannot begin to describe how happy we are with the way the photos turned out. Every time we go through them we relive the entire wedding! You are brilliant at what you do and you were incredible to work with. We really cannot thank you enough for helping us capture such memorable moments and for adding spice to the events through your enthusiasm and energy. We love you and hope to work with you again in the near future :) when we have mini Tonys and Manar's!" "I can't put in words how glad I am that I picked Tara to video my big day! I loved the way she was able to capture the day's best bits without intruding on people, which is a rare skill. She is talented and extremely detail-oriented, and knows how to manage people of all ages and cultures. She got all the special little things in the day that we remembered but don't have photographs of and she even managed to add a few surprises! The entire day was just expertly edited together with so much detail and emotion in every section of the video. After the wedding she took the time to meet with me to go over the details of how the whole video would be put together and to select the music tracks. Tara also edited a short 10-minute video which beautifully captures the biggest moments that I have easy access to on my smartphone! I would highly recommend her to anyone that is planning an event and needs a professional videographer"
"Thanks Tara for a great job on our wedding. It was certainly a big challenge to capture an event with almost one hundred guests as a single photographer, but you managed to get photos of everyone and didn’t miss any of the important moments. On top of all of this, no one felt disturbed or interrupted by the camera. So, apart from all the great shots, everyone really enjoyed working with you. For any of our upcoming celebrations we are looking forward to working with you again. Thanks for a great job." 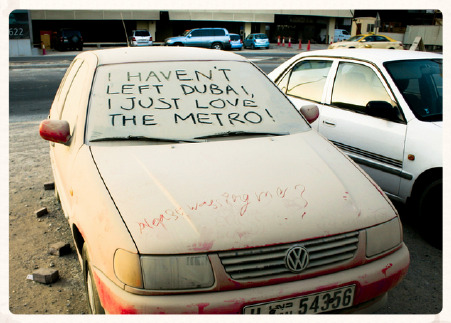 "Tara’s work played a key role in helping us (Saatchi & Saatchi) win the Grand Prix Outdoor for Dubai Metro’s Abandoned Cars campaign. Her hunger and passion for what she does takes her work to the next level as anyone fortunate enough to work with her will discover." "We at optimalFITNESS gym were looking to update our portfolio with the idea of a more urban, rural image. Tara took this idea and ran with it! She was a pleasure to work with; full of ideas and the images we got back were more than we could have hoped for. Her high level of professionalism meant she got the job done effectively in a timely manner and cost effectively. We love Tara and wouldn’t even think about using another photographer!!!!!"